Have you ever felt a yearning from deep down in your soul to return home? Yesterday I attended the Seventh Annual New York City Greek Film Festival – it was a first for me. The film I saw, “Hello Anatolia,” was a documentary about a young Greek-American man from New York who moves to Izmir (Smyrna) Turkey to trace his ancestral roots. His ancestors, like 200,000+ other Greeks, lived in Turkey until 1923 when they were forcibly removed, many slaughtered in the process. Prior to 1923, for the most part Greeks living in Turkey had lived side by side with the Turks and enjoyed good relations. The beautiful memories prior to the diaspora that Greeks had of the centuries their families had flourished in the Asia Minor were shared with their children and grandchildren. Filmmaker, Chrysovalantis Stamelos, grew up hearing these stories. The stories of his grandparents lives in old Smyrna tugged on something deep in his soul and he felt pulled to “return home.” Leaving his corporate job and all that he knew he ventured to parts unknown to find his roots. In the process he married a Turkish woman and decided to stay in Turkey and has since started a family. “Hello Anatolia” chronicles his journey and immersion into the culture of his newly adopted home where he finds more similarity between the two cultures (Greek and Turkish) than disparity. Following his intuition Stamelos was pulled home and in the process discovered his destiny: to be a bridge between two peoples with a history of difficulties. Returning to the land of our ancestors is a strong pull for many. It had been a dream of my father’s since he had been a boy. As a first generation American he too longed to retrace the steps of his parents and return to Greece. My father’s dream was realized when I was a teenager and he took our family took to Greece to meet our relatives and see the island of Samothrace (Samothraki) where all four of my grandparents were born. The famous statue, Nike of Samothrace also known as The Winged Victory, now in the Louvre Museum in Paris came from the island of my ancestors. The island’s legendary family sired the Trojan race, gave form to the personification of Harmonia, and taught humans the sacred rites of the mysteria. Here, the parents of Alexander the Great first met, and two centuries later, the last Macedonian king, Perseus, held out against the Romans. In antiquity, the fame of Samothrace emanated from its cult of the Megaloi Theoi, Great Gods, whose mysterious rites of initiation promised protection at sea and the opportunity to “become a better and more pious person in all ways.” Set in a cleft in the earth carved by a cascade of water at the base of the mountain, framed by converging streams, and facing toward the sea, the Sanctuary of the Great Gods feels spiritually integral to the deities of the earth, sky, and sea who played a fundamental role in the mysteria. The trip left an indelible mark upon me and I made numerous trips after that on my own back to Greece and Samothrace. I loved being there surrounded by a culture that was so familiar yet different from my own as a Greek-American. I felt very much at home and found something very anchoring about rediscovering my roots. It made me feel “whole” as if I reclaimed a part of me that had been left behind in Greece in some way I cannot quite explain. Years later I became captivated by the history of the ancient cult of the Great Gods in Samothrace. I often wonder if that is where my fascination with spirituality and metaphysics came from. The site of the mystery cult in Samothrace has been under excavation for years and years but yet, very little is really known about it. I grew up reading Greek mythology. I particularly loved stories about the Oracle of Delphi. The oracle was always a woman. She sat above a chasm that emitted vapors that put her into an altered state. Once in this state she was able to divine the future. People traveled from all over the ancient world to learn their fate from the oracle. When I was growing up, before I ever heard the world “clairvoyance” or “out of body experience” just before I fell asleep each night images flooded my mind of a magnificent mountainous landscape. I would soar like a bird over these peaks. I remember feeling as if I belonged there. It is still a vivid memory. But, it was not until I made the journey through the mountains and visited Delphi that I realized this was the landscape I had been seeing all those years. At the time of my first trip to Greece and Delphi I was fourteen and had been doing readings for just a few years. I recall feeling very connected to to the area; as if being there was something important I should etch into my memory, for what reason I wasn’t clear about at the time. 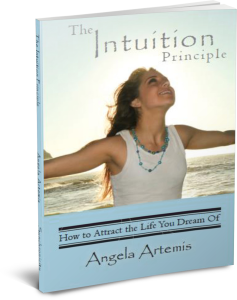 As I look back on it now I believe the strong connection I felt was my soul’s pull toward developing my then budding intuition. There is a “pull” in each an every one of us. And, this pull is there to lead you in the direction you were meant to go in your life – your destiny. This is the pull of your soul speaking to you through your intuition. When you “feel” a strong pull to do something, especially when there is no rational reason, this is your intuition. Perhaps the strong pull some feel to return to the home of their ancestors is a pull from the soul to find wholeness by rediscovering a part of themselves and awakening to their destiny? Whatever that “pull” might be for you honor it. It wouldn’t be there unless it was trying to “pull” you somewhere important. Where are you being pulled to go? What are you being pulled to do? Are you listening? If you enjoyed this article share it with a friend on Facebook, Twitter or Google+. Thank you. P.S. 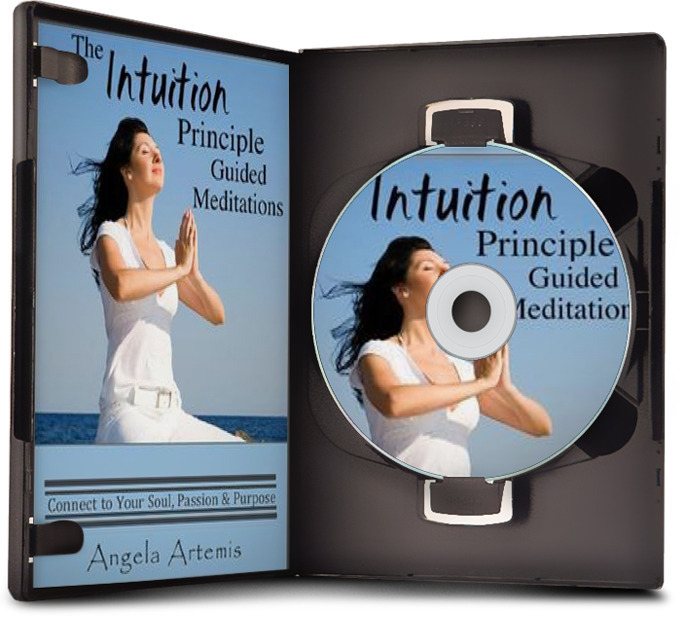 To awaken your own intuition and find your destiny: Click here! 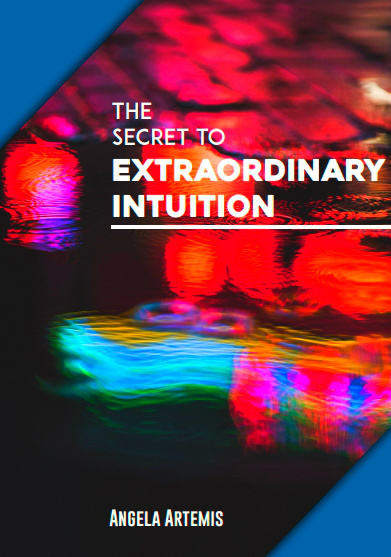 Connect to your inner voice and wisdom easily with these 14 visualizations. Now Buy 1 and get another program completely FREE! Your post just reminds me how much I would love to visit Greece! The mythology in Greek stories just creates the lure. I know that my kids would love to go there too. They have been fascinated by the myths themselves. It’s great that you have the chance to return to Greece. Would you want to go back there again? It’s wonderful to see you. I hope all is well with you? I think you and your family would love Greece. The waters are beautiful! I dream of going back all the time. I’d love to go for six months to write another book. Love this story of your pull to be connected to your Greek heritage and your interest in Greek mythology. I am part English and I’ve been pulled to go to my ancestral home in the UK, as I have never been. My father was very interested in our genealogy, so we do have some information. I would especially like to visit the town of Hull which is my maiden name. Just reading your post encourages me to listen to my intuition and book that trip! Thanks for an inspiring post! I love Greece and I love your story. I went to Greece many years ago and was there for 2 months , spending time in Athens, then the islands of Andros, Crete, Santorini- my fave, and Paros- was tempted to stay. Think it is time to visit some greek mythology and maybe the book Betsy mentioned. My ancestors are English and we think Scottish and when i lived in England i spent time in Scotland and loved both places. The other place I went to the first time we went to USA was New Mexico- I knew nothing about it just thought it would be warmer as we were there on winter. What still amazes me was that i had painted the colours and shapes with ladders going into the sky on many silk paintings- was such a strange feeling, like I had been there before. How fabulous that you got to spend two whole months in Greece! The most time I spent there on one trip was 28 days when my parents later sent me and my sister to the Ionian Village a summer camp run by the Greek Orthodox church for Greek-American teens. We had a blast. I loved it so much. Maybe the mythological lore of the Celts and Druids is what you should be reading? That may have something to do with your British and Scottish background? I don’t know much about the druids but I think it would be fascinating to research. That’s so funny that you bring up New Mexico. I had a burning desire to move there when I was around 30. I’d never been there before but a dear friend and astrologer whom I knew picked up and moved to Taos. Taos is known to attract a lot of very artistic, spiritual and metaphysical types. Something about Taos ignited a longing in me to move there and go back to school and change my profession from finance to writer/healer/therapist. I hope we can meet someday! What a great story! Do you think in an ancient life you were the Oracle? How wonderful that you’ve reconnected to your roots! I LOVED Greece. Such a wonderful place! I signed in with my new site – I am putting my Reiki work “out there”! Wanted you to see that! LOL, no I don’t think I was one of the oracle women in the past but, I do think that the vibes of the place resonated with my intuitive nature for sure. I can relate to your experience although my first language was Greek. I learned English when I went to school. I hope you get to go to Lebanon some day! It really is special to return to a place where everyone has the same customs as you. I didn’t know you had a new site. Congratulations! I will come by and visit. I loved reading about your heritage and your trip back to Greece. I, too, grew up loving Greek mythology. I went to Greece at the end of college. I visited Athens, the island and Delphi. Delphi was one of my favorite places. My pull is with France. My father came over during WWII. I’ve been many times and hope to spend a year there some day. PS I’ve been told I should read GODS BEHAVING BADLY because of my love of Greek myths. It’s a funny book about the Gods in present day England. I haven’t heard of that book. I’m going to check it out. What a wonderful trip it must have been! I’m sure you have lovely memories of visiting a sun drenched island near Athens. Was it a day trip from Athens? Then it was most likely either Poros, Aegina, or Hydra. If you took a long bus ride from Athens through the mountains you would have visited the town of Delphi. Either way the country is beautiful and so different from what we see here. I’m glad you went. And good to hear that you too enjoy reading Greek Mythology. I’m so glad to hear that you followed that “pull” and went to the writer’s retreat in Carmel. I want to hear all about it when you get home. I think the “pull” can be different for each individual but, whatever it it is pulling you toward pay attention to. It’s a big clue about what path you ought to take. I too grew up loving Greek mythology. In fact, when I was in middle school, we actually had a required course in Greek mythology. 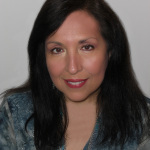 I have no Greek ancestry, although my last name (my real one, not my pen name) is a Greek name and I’m often mistaken for someone having that heritage. I loved your stories of going back to your ancestral roots. You too? I could not get enough mythology when I was younger. I always wished the stories of the Gods were true. I suppose that’s why I moved onto loving mystery novels and stories involving magic. I didn’t realize your real last name is a Greek name? Cool. I’m so glad you loved this post. Thanks so much for visiting and commenting. It’s always such a pleasure having you stop by!